Just joined the rental market, Casa Saudade is a spacious luxury 4 bedroom villa with a 10m x 5m pool and large terrace areas. 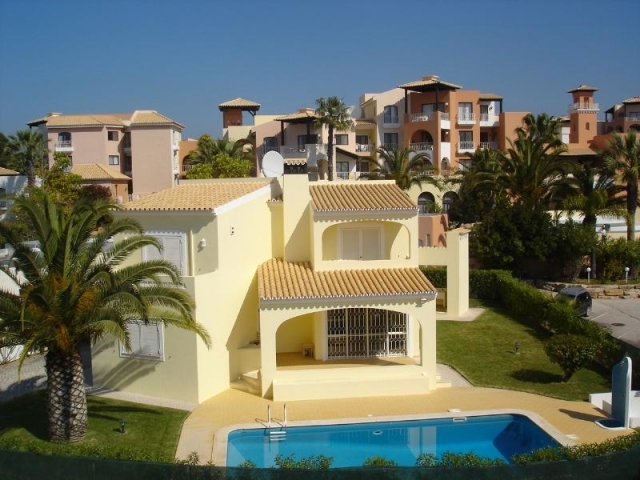 Located in the countryside about 2.5km from Carvoeiro town centre, within walking distance of a few restaurants, a mini mart and a supermarket. 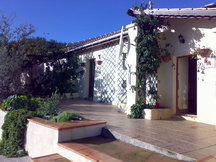 The property has panoramic country views including the Monchiques. Outside is extensive terrace and lawn areas. A large terrace surrounds a 10m x 5m pool which has both roman and metal steps. There is a pool shower, and a stone seating area the length of the pool, as well as sun loungers. Steps from pool, lead to further lawn and garden areas as well as a built in shaded BBQ area. next to the BBQ is sink, a worktop, electric points and lighting, allowing you to really enjoy the outdoor cooking experience during the day or evening. The area is great for walking, whether on the cliff tops, by the sea or through the country. Carvoeiro offers Banks, shops, bars, restaurants, entertainment, beach, boat trips (to the Grottos). Most activities are close by, Golf (course can be seen from the Vila), Horse riding, Tennis, 3 water parks in the area, shopping centres and more, see our website or contact us. There are several pretty coved beaches in the area within 5 minutes drive including Benagil, Centeannes and Carvoeiro. Wide sandy beaches are at Armacao De Pera Ferragudo & Praia Grande. There are 3 golf courses within a 10 minute drive, Vale do Milho, Gramacho and Pinta courses and other more challenging courses are within 30 minutes drive. These include the on the Pestana complex. Championship courses include Vale da Pinta near Carvoeiro and the famous Penina course near Portimao. A golfers paradise. Carvoeiro is about a 5 minutes drive, a supermarket about 500m away and the towns of Lagos, Silves & Portimao are up to 30 minutes drive. A leisurely day trip would include the Monchique mountains and Cape St Vincent with other areas of the western peninsula. Please quote reference: a4m: 911 villa "Casa Saudade"